There was once a time when the first thing I would do in the morning was rush to the computer so that I might check the comment threads of the five to ten blogs I followed on national security and strategic theory. It was the golden era of the old Strategy Sphere: a time when the debates swirling around the internet had real intellectual heft and all arguments were conducted with a fierce sense of urgency. I have written about era—what it was like to be a participant in its debates, and what caused that old community to slowly fall apart—before. That retrospective ended on a sad note, questioning whether or not the spirit of those days could ever be recaptured. I think it might just be possible. One of the most compelling forums for discussion in those days were the statecraft roundtables. The idea behind all the roundtables was to gather together a diverse group of strategy and history focused bloggers to read and discuss a classic in the field. We would read the book chapter by chapter, each participant chronicling their reaction to the author’s—and each other’s—arguments as we read. Part long distance book club, part public forum, every roundtable was a cocktail of different ideas and perspectives that anyone would learn from, be they newcomers to the strategy scene, practitioners in the field, or well credentialed experts dwelling in think tanks and ivory towers. Last week the editors of the Clausewitz Roundtable—held eight years ago on Chicago Boyz—published an edited version of the roundtable tour through Carl von Clausewitz’s On War. It can be purchased for $3 on Amazon. For its price it’s a fine little read, both for the insights each author brings to On War and its theories, but also because it gives you a peek into what the blogosphere once was—and what it once again might be. The wide ranging discussions of politics, history, war, and power had in the comment threads of that roundtable are exactly the kind of thing that deserve to return to blogosphere. I am proud to announce the upcoming Thucydides Roundtable, to be hosted at the group blog Zenpundit in October 2016. Thucydides is a man of firsts. He has been called the father of realism, the first “theorist of war” in the Western tradition, the inventor of political science and international relations, the first man to ever attempt an objective and evidence based history of the world he lived in, and many other things besides. In the two thousand years since they were first written, his words have been used and abused by historians, poets, social scientists, and statesmen from one side of the Earth to the other. His chronicle of the thirty year war waged between his native Athens and her rival Sparta has just about everything in it. I really do mean everything. No great or enduring theme of the human experience is left untouched—war and international order of course make their appearance, but so do meditations on statesmanship, bargaining, courage, partisanship, justice, ethics, ambition, greed, honor, religion, culture, history, and so much more. His History of the Peloponnesian War is not just the story of a quarrel between Athenians and Lacedaemonians in the 5th century BC. It is a story about all of mankind. Or at least this is what Thucydides hoped it would be. 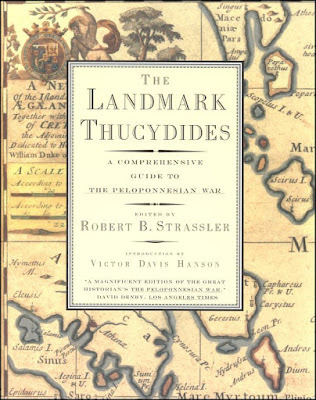 I invite you to discover for yourself if Thucydides' ambition was realized by reading his work with us. We will officially kick off the roundtable discussion at Zenpundit in mid-October. In the weeks to come we will publish the full list of official participants as well as the Roundtable's official rules of engagement. 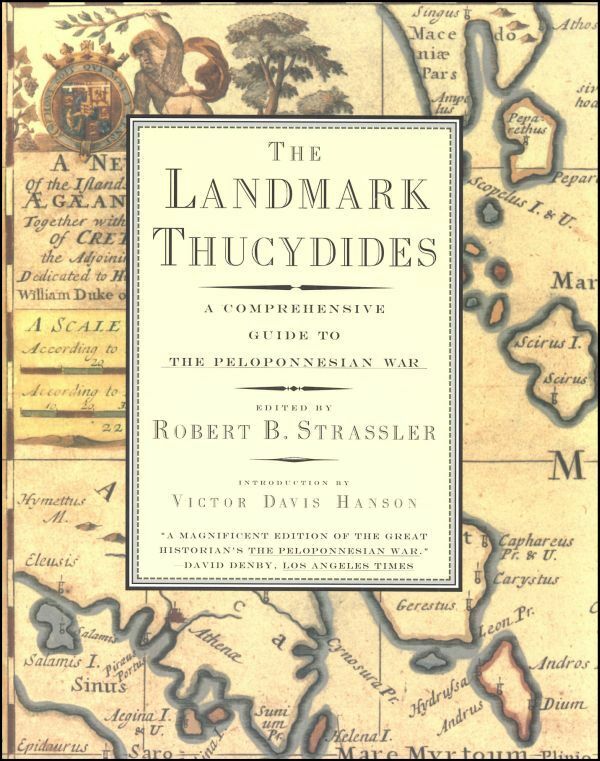 Until then, I encourage you to go out and purchase the Landmark Thucydides to get a head start on the reading. It’s a big book, but one well worth reading. In the meantime, add Zenpundit to your feeds or like our Thucydides Roundtable Facebook page to stay updated on the roundtable's schedule and progress. Update (23/8/2016): Cross posted at Zenpundit.